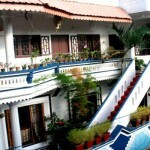 Fort Garden Residency have both A/C and non-A/C rooms at affordable rates.Mr. Thomas Tharian will be your host here . Mr. Thomas Tharian works for an insurance company and Mrs. Thomas is a teacher in College. 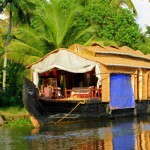 In the traditionally arranged dining rooms your are served the best Kerala cuisines. There at the dining table you will have raredelights in taste. 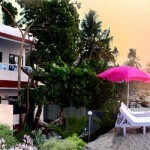 Fort Garden Residency has 4 rooms with double- beds, attached bathrooms with shower and hot water facility in all rooms, A well furnished hall and dining room,with TV facility for relaxation, food is also served on request. Double AC Rooms Single – Room with complementary Breakfast, Rooms with Double-Beds, A/c, Attached Bathrooms with shower and hot water facility. 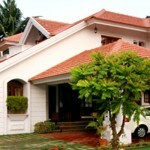 A well furnished hall and dining room,with TV facility for relaxation, food is also served on request. The main attraction is that the guest can even prepare food according to their wish, over and above it is very quite and peaceful place surrounded by trees and garden. 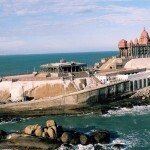 Double Non AC Rooms Single – Rooms with Double-Beds, Attached bathrooms with shower and hot water facility in all rooms. A well furnished hall and dining room, with TV facility for relaxation, food is also served on request. Fort Garden Residency is located very close to the St. Francie’s church, the oldest Portuguese church built by Vasco Da Gama in 1503’s . 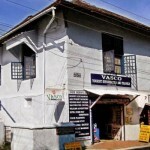 Homestay is located in Fort Cochin in Kerala India . Cochin International Airport is the nearest airport from here . 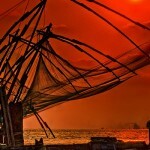 Fort Cochin – 682 001.